Home / Windows 10 / How to Fix A Disk Read Error Occurred on Windows 10? One day instead of the typical Windows loading screen you may face weird message A Disk Read Error Occurred. Press Ctrl + Alt + Delete to restart. You don’t need a lot of PC knowledge to realize that computer can’t boot because of hard drive or SSD malfunction. The thing is that there is no additional information provided. Usually Windows tells you additional info (for example, error code or whatsoever), but in this case it simply says “A disk Read Error Occurred”. You must simply guess what exactly happened and what is the reason. There are different methods to fix this error depending on the reason why it happened. It may be a software bug or hardware corruption. And since there are no additional clues, you will have to check one solution after another until the problem is gone. How to Fix A Disk Read Error Occurred? Before you crack open PC or run to the nearby store (buying new hardware is the last option you should consider), try simple steps to fix this error. Your hardware may be perfectly fine, but the software faulty. Do what your PC is asking for—press Ctrl + Alt + Delete or restart the computer. If PC still can’t boot properly, follow the steps below. Understanding the root of the problem will help you get rid of it. File System error. It might appear after an unexpected system shutdown (blue screen of death or power outage). MBR bootloader is missing or corrupted. This could be caused by viruses or the reasons mentioned above. 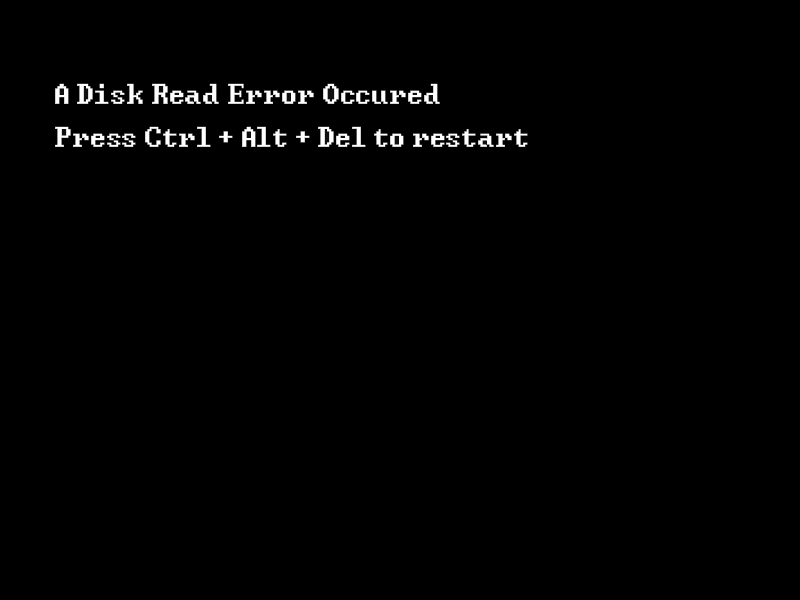 Most of the time “A disk read error occurred” error happens because of the MBR errors. BIOS/UEFI malfunctions. Wrong settings or errors during the upgrade/downgrade process. An incorrect connection between the hard drive and motherboard. For example, SATA cable is damaged or incorrectly plugged in. Physically damaged drive. For example, if you dropped your laptop, bought a defective drive or it simply reached the end of its lifetime. Weak PSU. If your video card consumes too much power, hard drive won’t get enough juice to operate properly. Make sure your power supply unit fits video card specifications. You should also know that overclocking increases power consumption drastically. Your overclocked GPU or CPU could consume so much power that your drive will be “starving” and won’t work. 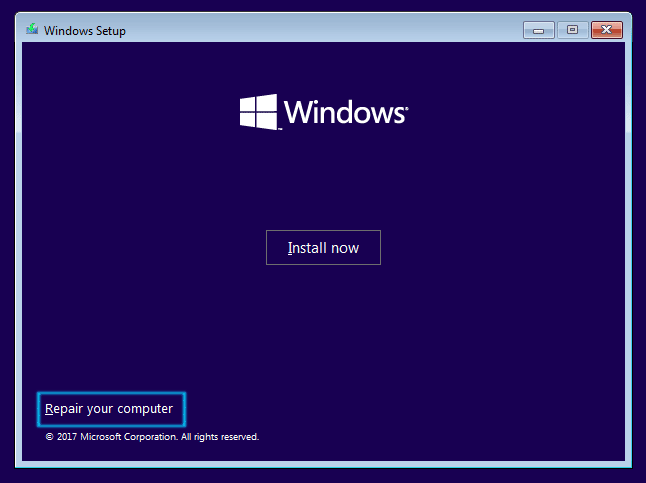 Open BIOS and check whether the primary Windows drive you are trying to boot from is visible in the boot menu. Also, make sure the system drive is a number one in the boot priority list. If you see no drive in the list, then you probably should try to replace drive or SATA-cables. There is a big chance that your hard drive or SSD is dead. But if BIOS sees your drive—you don’t need to replace it yet. Reset BIOS. Restore factory settings (this will also disable any overclocking you have) and try to boot again. If that did not work, update your BIOS or downgrade it to the previous version, if “A disk read error occurred” message appeared after you have updated BIOS. Is the File System Okay? Check drive’s File System. Plug in Windows Installation Media (this could be DVD or USB drive) and on the first screen press Repair Your Computer. 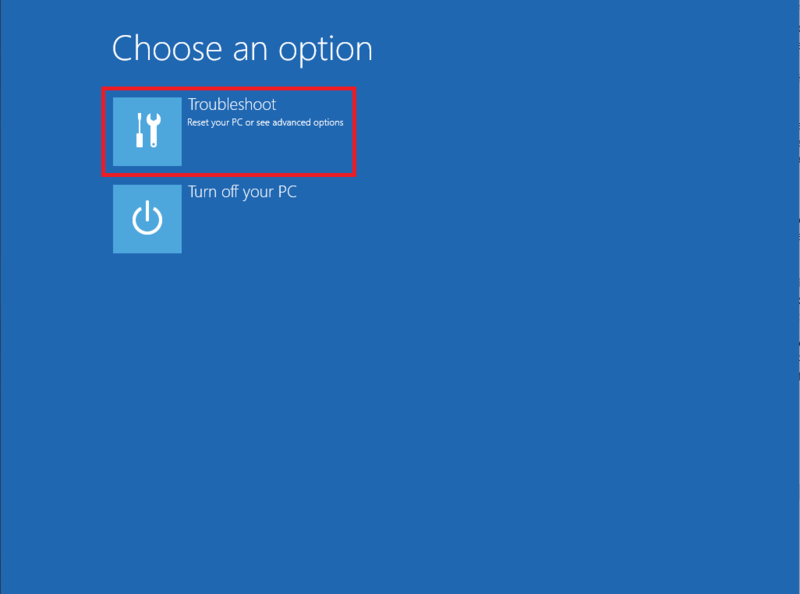 Then select Troubleshoot > Command Prompt. Enter chkdsk C: /f /r and press Enter. Wait until the procedure is done. If the Command line tells you that no errors were found, proceed to the next step. If it says that some errors were corrected, restart your PC and boot from the default hard drive. If you see no errors during the Windows loading and PC works fine, then you may close this article and enjoy your PC. Third, fix the bootloader. Again, plug in your Windows Installation Media, open Command Prompt from the Recovery screen and enter bootrec /FixMbr command. Now it is time to grab a screwdriver and mess a little bit with hardware. If you are not confident or not sure whether you will be able to set everything back, better contact qualified tech support or service center, otherwise, you could damage your PC further. And yes, don’t forget to completely disconnect the computer from the power source. Don’t electrocute yourself! Check your drive. Make sure SATA cable is not damaged loose. It should be fixed securely connected both to the motherboard and the drive itself. Tighten it up if you’ve noticed that insecure connection. Try to connect dive using different SATA cable (usually motherboard manufacturers include spare cables with the board) or another SATA port on the motherboard. You should also check the PSU cables that supply power to the drive. This will help you to make sure that cables are not the reason of “A disk read error occurred” on Windows 10. Make sure your drive does not overheat. Touch the drive with your hand or use pyrometer (if you have one) to check drive’s temperature. It shouldn’t be very hot (~35 C / 95 F). If it is, let it cool down and later try to boot PC back. Reinstall Windows and completely format the drive (delete all data and partitions). This will set up a File system, bootloader, and OS from the scratch, giving you perfect conditions to boot. Connect your drive to a different PC and try to boot from there. If “A disk read occurred” message still refuses to go, then there is definitely something wrong with your drive. Alternatively, plug in another drive to your PC and check whether it works. This will take some time, but you will know whether the drive, motherboard or cables are fine. If you can’t boot from your drive using another computer, then you probably should visit nearby PC parts store and purchase a new HDD or SSD.